Mobile analytics is an increasingly competitive space, with companies like Flurry trying to do for mobile apps what Google Analytics did for websites. Most analytics tools focus on analyzing one version of an app, rather than testing different versions in real-time. Founded by three former Google employees, Leanplum wants to make it easier for mobile game developers to test their applications in real-time with its A/B testing service and analytics dashboard. Leanplum’s solution is targeted at product managers and marketers, who Kyurkchiev said often can’t test different versions of their games without working with developers, pushing updates to the App Store, and finding their own way to track the results. Using Leanplum, marketers can work with their developers initially to set up Leanplum with any mobile game, and can then run tests themselves without dealing with development staff or sending updates to Apple, for example creating different versions and deciding what percentage of users will see each version. Each user has a dashboard, which gives them the ability to push different versions of mobile games to different users, so each player would see a different user interface. The company tracks analytics, showing how engaged users were with each version, and letting marketers compare that data. In terms of what marketers can test, it could be anything from the price of an in-app purchase, to colors and design elements, to messaging, all with the goal of changing apps permanently based on user feedback. “We think of ourselves as actionable analytics, so we give the ability to read the data, but data itself is just one part. The key is to be able to actually take an action on that data, and be able to affect the behavior of the app in real-time, and this is our value proposition,” he said. Kyurkchiev and his team built the platform over the course of the 90-day TechStars program this summer, and said they have about 20 game studios in their customer pipeline right now. Leanplum’s freemium model means that indie developers can try out the platform for free, and they have tiered memberships for larger companies or game studios, priced at $1,000 per month per 10,000 daily active users, and $6,000 per month for over 100,000 daily active users. Leanplum is currently raising funding, and plans to launch to the public in the next two months. While it’s starting with mobile games, the company could really be applied to any category of mobile apps. While the company could face competition from existing web analytics tools, including A/B testing tool Unbounce, if they decide to go mobile, not to mention mobile analytics tools like Flurry, Apigee, Heatmaps, and others in the space, the company’s focus on gaming and background at Google could help it gain favor with product managers and developers alike. 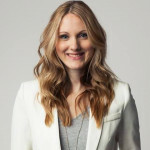 Erin Bury is the Managing Director at Eighty-Eight, a creative communications agency based in Toronto. She was formerly the Managing Editor at BetaKit, and currently writes a monthly column for the Financial Post. Follow her on Twitter at @erinbury.